Happy Sunday!! I love Sunday mornings! Here's a freebie to get your week going! Some of you may have the Shape Helper we use in class. from Ashley Hughes and had to update my freebie! So, here you go! 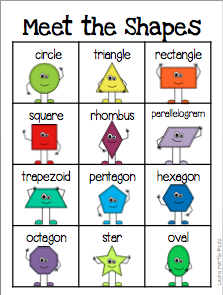 Meet the Shapes!